New Hampshire’s child support guidelines are codified in RSA chapter 458-C, with the presumption that both parents shall share responsibility for the economic support of the children. RSA 458-C:3 sets forth the formula by which a court calculates the amount of support to be awarded. Generally, the parents’ net income is multiplied by a set percentage and divided between the parents in proportion to their incomes. “Net income” means “the parents’ combined adjusted gross income less standard deductions.” RSA 458-C:2, VI. The guidelines expressly provide that an obligor’s (the person who pays support) total support obligation is “net income multiplied by the appropriate percentage derived from RSA 458-C:3.” RSA 458-C:2, XI. 1. What expenses are taken into consideration when determining my adjusted gross income? 2. My friend just went through a divorce and she and her ex-husband agreed to a reduction in guidelines child support. Can I do that too? There is a strong presumption in the law that the obligor will pay the guidelines amount of child support unless the parties agree or the Court finds “special circumstances” exist which should result in guidelines being adjusted up or down. A couple examples of “special circumstances” include: ongoing extraordinary medical, dental, or education expenses of the child; significantly high or low income of either parent; the economic consequences of the presence of stepparents; reasonable visitation expenses; parenting schedule; and other special circumstances found by the court to avoid an unreasonably low or very high order, taking all relevant circumstances into consideration. RSA 458-C:5. For a full list of “special circumstances” see RSA 458-C:5. Thus the answer is ‘it depends’ – but it is always a good idea to consult a lawyer if you feel there are special circumstances which justify a reduction in child support. 3. I receive quarterly dividends from my retirement account. Will these be included in the calculation of gross income? 4. My ex was recently incarcerated and has no income. Am I still entitled to child support while he is in jail? Yes. RSA 458-C:2, V, provides, even if an obligor is unemployed, the minimum support order shall be $50 per month. To change the child support order, however, one party would have to file a Motion to Modify child support with the Court. Otherwise, the child support in the Uniform Support Order remains at the same level. 5. I’m considering going back to college and will only be working part-time for the next two years. How will a change in my employment while I am in school impact my obligation to pay child support? It is possible that the court could find a party is voluntarily underemployed due to a reduction in hours. If they were to find a party is voluntarily underemployed it is possible that they will impute income to that party when calculating the guidelines. If an obligor parent is found to be voluntarily unemployed or underemployed, the court may impute income to the obligor parent by considering, as gross income, “the difference between the amount a parent is earning and the amount a parent has earned.” RSA 458-C:2, IV(a). 6. I had children later on in life and worked hard to build my savings. I have multiple savings accounts with over $50,000 in assets in each. Will these funds be considered gross income for the calculation of child support? No. 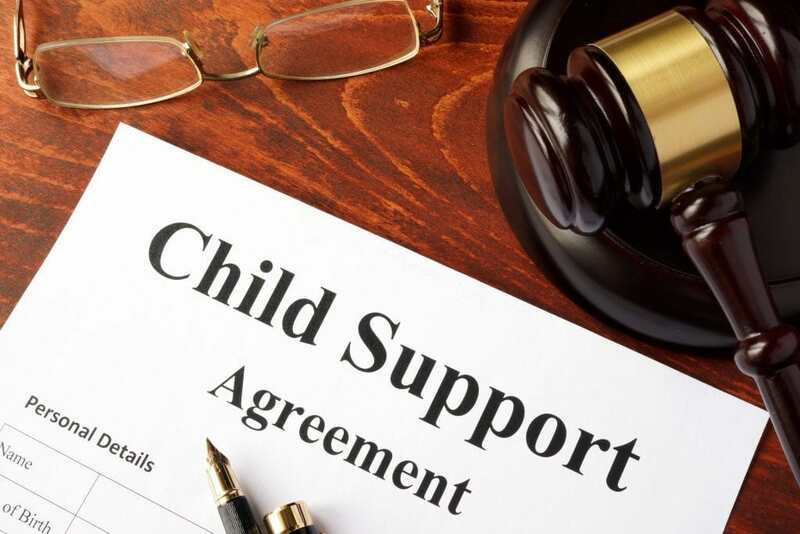 The New Hampshire Supreme Court has held that the trial Court cannot consider a parent’s assets when calculating child support under the guidelines. Assets are not within the list of items set forth in RSA 458-C:5, I, and therefore, are not relevant when determining a child support obligation. (In re Plaisted, 149 NH 522 (2003).) The exception to this is if a party earns interest on assets, the interest growth may be considered income for purposes of child support calculations. In short – child support is based on each party’s respective income and not on the party’s assets. 7. I was recently remarried and my ex is threatening to have child support recalculated using my new spouse’s income. Is this possible? Under the law, your new spouse’s income cannot be considered “gross income” to you unless you resign from or refuse employment, or are voluntarily unemployed or underemployed. If the court finds that you are voluntarily underemployed then your new spouse’s income could be imputed to you to the extent that you had earned income in your usual employment. RSA 458-C:2, IV(b). Therefore, in most circumstances, a new spouse’s income is not considered a reason in and of itself to recalculate child support. Note also that the presence of stepparents in a home is a possible reason for a deviation from the guidelines as discussed above. New Hampshire law provides child support may be reviewed every three (3) years or upon a substantial change in circumstances. If you have questions about child support or are in need of legal advice, please call our office to set up an initial meeting with one of our experienced attorneys. Need advice on your child support situation? Contact one of our attorneys today! Disclaimer: The information contained within this article is made available by Weibrecht & Ecker, PLLC for educational purposes only. This article is intended to give you general information and a brief overview of the law. It is not meant to provide specific legal advice and should not be used as a substitute for legal advice from a licensed professional attorney. Please call us with any questions so we may analyze the facts pertaining to your situation.